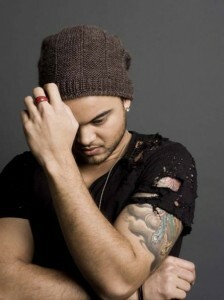 Though most of the focus on Guy Sebastian has this week been about an altogether hilarious live slip-up on X Factor, we’ve been working hard trying to uncovers little snippets of information about his forthcoming greatest hits package. And though its release has yet to be officially confirmed by our peeps at Sony (and therefore details about it are at very best sketchy) we can tell you that it looks set for an in-store date of Friday November 12. But beyond that, we can also reveal the name of the brand new Guy Sebastian single that you’re going to be hearing REAL soon. Guy’s brand new track is called ‘Who’s That Girl’, it’s the lead single from the forthcoming best-of and according to our sources, Guy’s fans won’t have to wait long to hear it, with the single headed to radio on Monday October 18. Awesome news!!! Thanks SO much for the snippets. Can’t wait! AWESOME!!!!!!! Cannot wait to hear it . . just made my day! Thank-you!!! I cannot wait to hear Guy’s new single called Who’s That Girl have heard some great reports about it. A new Album as well..beauty .. life is good.